Every new manager goes through a "honeymoon" period. That's when everyone seems to be on your side, with lots of advice on how you should lead and manage. People are really happy for you, and want to see you succeed. Unfortunately, this doesn't last for long. Soon, people head back towards focusing on their own responsibilities. It's then that the advice and support starts to dry up. At the beginning of the week, (on a Sunday evening if you can) create a set of goals you want to achieve for that week. These are "mini-goals" that can be accomplished within a few days, such as "complete x number of performance appraisals" or "conduct x number of one-on-one meetings with staff". Set some time aside to talk with your manager on what their expectations are of you. In particular, find out what information they will need from you to demonstrate that you are meeting those expectations in the short term. Make sure you are measuring the right things in the right way. Management starts with data, but as the renowned quality guru W. Edwards Deming said "Data will provide you with about 3% of what you really need to know". In other words, you need to get out from behind the scorecard or dashboard you are using and go to where the work gets done, to view how things are going with your own eyes. Focus your attention on five key performance areas that all managers need to master, regardless of what industry you are in. Of course these five areas will be interpreted differently depending on the type of work your team does: 1. Health, Safety and Environment; 2. Customer Relationships; 3. Quality; 4. Cost; and 5. Schedule. Make a point of acknowledging good performance as soon as you can after the performance is observed. One team I worked with had a habit of saying "thank you" to members of their team, and other teams, in their morning stand-up meeting. These meetings were conducted first thing in the morning, and lasted for about 10 minutes max. They were a great way for peer and supervisor recognition to be given as soon as possible after the performance was observed. Correct poor performance in private and immediately after it is observed. Do NOT do it in your team meetings. This is where a lot of managers go astray, thinking that "when they discipline one, they discipline all". Calling someone out in a team meeting has the opposite effect. It doesn't correct performance, it only alienates the person towards you and lowers team morale. Remember to have fun at work! Celebrate milestones, birthdays, team accomplishments, customer "wins" and so on. Be creative! 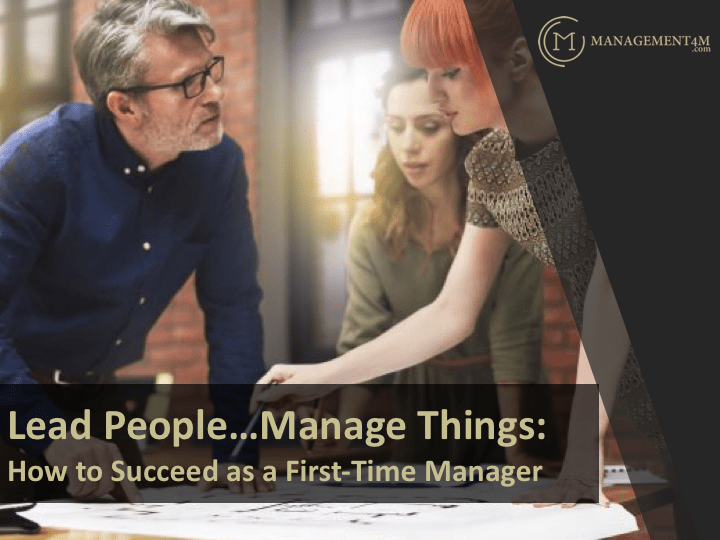 And finally, always keep in mind that your role as a manager is to help other people succeed!